Join At Home In Louisville Real Estate Group this Sunday August 30th for an Open House at 3032 Peale Ave! Take a tour of this beautifully updated Cape Cod in desirable Hathaway! You'll love the attention to detail throughout & fantastic location! Call 502-371-1173 today for more information about homes in Louisville or visit us this Sunday 8/30 from 2-4! 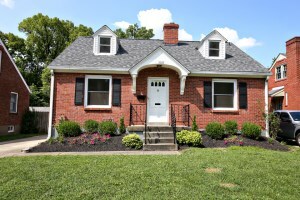 3032 Peale Ave Louisville Ky 40205 is a beautifull updated four Bedroom, two Bath Cape Cod in desirable Hathaway. The landscaped entry opens to a spacious Living Room. 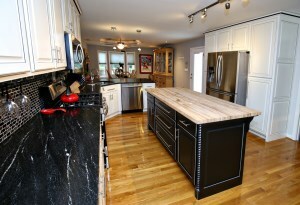 The Eat In Kitchen features new disposal, tiling, cabinetry, and sink. 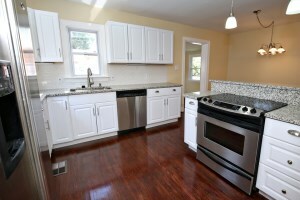 The Kitchen also showcases granite counters, stainless steel appliances, & comfortable dining area. The Study offers great additional living space and exits to the side of the home. The first level of the home also includes two good sized Bedrooms and a Full Bath with new fixtures and natural stone tile. Upstairs you'll find two more Bedrooms & attic storage. The Basement opens to a large Family Room. Two more Finished Rooms & a Full Bath complete the basement. 3032 Peale Ave Louisville Ky 40205 has a wonderful fenced in yard with relaxing patio. The property also offers a 1 car detached garage. Numerous updates in this home! New owners will appreciate updated flooring & fresh paint throughout. Electrical receptacles & switches have been updated. The windows were replaced in 2008 and the water heater in 2014! 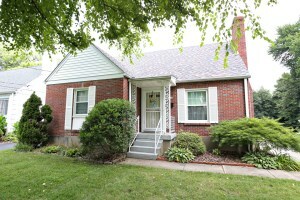 Wonderful Louisville Real Estate purchase in a sought after location! 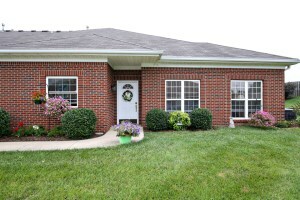 416 Turnberry Lane Shelbyville KY 40065 is a lovely Ranch style townhome in Shelbyville. The property offers two bedrooms and two full baths with the benefit of convenient single story living. 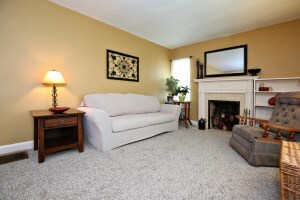 The front entrance opens the spacious Living Room with gas fireplace & plenty of natural light. 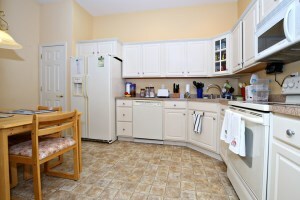 The Eat In Kitchen includes comfortable dining area & abundant cabinet space. The Family Room is cozy with decorative French Door entry. You'll love the spacious Master Bedroom with tray ceiling & private Master Bath with walk in shower, jacuzzi tub, and double vanity. A second Bedroom, Office, Laundry Room, and Full Bath complete the floor plan. 416 Turnberry Lane Shelbyville KY 40065 showcases a peaceful screened porch for outdoor dining and entertaining. There is also a two car attached garage. The home owners association provides trash pick up, groundskeeping, and snow removal for residents. The unit is completely move in ready with newer Gas Furnace & Carrier Air Conditioner (2013) that comes with a transferrable warranty. Call 502-371-1173 today for more information about this great example of Shelbyville Ky real estate! We would love to give you a tour! At Home In Louisville Real Estate Group will be hosting an Open House this Sunday August 16th from 2-4pm at 6012 Six Mile Ln. You'll love this gorgeous, completely remodeled home! 3 Bedroom, 2 Bath Ranch with over 1800 square feet of living space! 3 car detached garage! Call 502-371-1173 for more information about this fantastic home in Louisville or visit us at the Open House this Sunday! 823 Perennial Drive Louisville KY 40217 offers a wonderful opportunity for home buyers in the Louisville area. The three bedroom, two bath Cape Cod is totally move in ready. The landscaped front porch entry is appealing and opens to the Living Room with fireplace & tile surround. 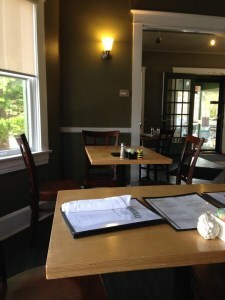 The Formal Dining Room is conveniently positioned off of the kitchen. 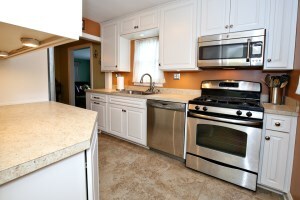 The Kitchen showcases new stainless appliances, tile floor, and custom cabinets and was updated in 2012. 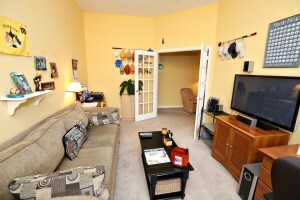 The Den/Study provides a relaxing living area & exits to the back deck. The first level also includes two good sized Bedrooms and a Full Bath. The upper floor of the home is completely devoted to the Master Bedroom with built in storage. 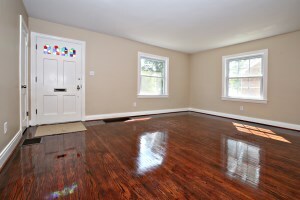 The Basement level features a wonderful Family Room, Laundry Room, and Full Bath. 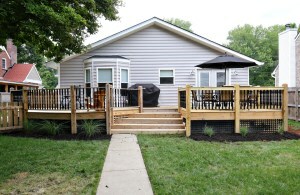 New owners will adore the back yard with privacy fence & sunny deck. The property also includes a one car detched garage. 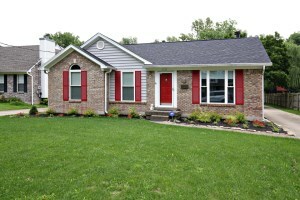 823 Perennial Drive Louisville KY 40217 has numerous updates including new gutters, siding & roof in 2012. 2014 updates include replacement windows, storm doors & windows, AC & Furnace, & a second AC/Heat pump on the second floor. Insulation was added to the attic and the electric service & panel were updated as well (2014)! The sellers even installed new carpet in the Dining Room, Den, & Living Room in 2015! Fantastic property in a great location! Call 502-371-1173 for more information about this example of Louisville Real Estate. We would love to give you a personal tour! You won't believe the incredible updates in 6012 Six Mile Ln Louisville KY 40218! The entire interior of this three Bedroom ranch style home has been beautifully remodeled since the current owner purchased the property in 2013. 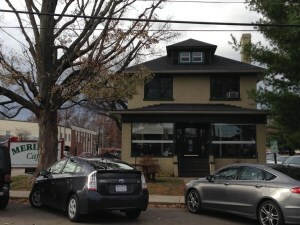 There is also an addition to the property that offers approximately six hundred square feet of extra living space. A few highlights of the recent upgrades include New AC, Water Heater, Furnace, Hardwood Floors, Windows, & Roof! The Kitchen & Bathrooms have been completely refinished. The exterior siding has also been replaced & a new deck has been added! The Great Room showcases hardwood flooring, recessed display shelves, & fireplace. The Formal Dining Room with Tray Ceiling & Bay Window is open to the gorgeous Kitchen with new high end cabinetry, granite counters, tile backsplash, stainless appliances, and hardwood floor. 6012 Six Mile Ln Louisville KY 40218 has a large Master Suite with hardwood flooring & access to the back deck. The Master Suite has two Master Closets & a Master Bath with tiled shower. Two more Bedrooms, a Laundry Room, and Full Bath complete the floor plan. The back yard is grassy with wood fencing. The property also offers a 550 square foot deck, storage shed, and oversized 3 car detached garage! Call 502-371-1173 for more information about this fantastic home in Louisville!